This is a beautiful and thoughtful story about how a Japanese couple adopted a cat who came to visit, and the effect that had on their lives. There’s much joy and beauty in this slim volume. Left in Book Fridge - hope the person who finds it may follow up on Book Crossing. Last night I went first time book hunting. The book fridge was full of books and I could not find at first this book. I already got sad that someone else took it or so, but then I found it in the very last corner of the book fridge I had not looked at yet. 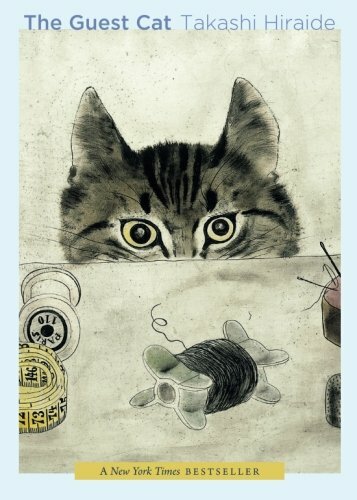 "The guest cat" has wonderful reviews - I think it is going to be a great book to read. Thanks for releasing this book into the wild, Reading Ruth! Great to know your found it Chuckacraft. Enjoy! Great to meet you, chuckacraft! Got to agree with chuckacraft - it's good, but not as good as I expected. Perhaps it's just not the best translation? I kept feeling like I was missing out on something. But still, a sweet and thoughtful tale, with some evocative scenes.